NOSE DIVE is a casual gastropub offering fare best described as “urban comfort food”. It’s Greenville’s destination where creativity and modern culinary techniques take center stage to create food that is approachable by all. The culinary team takes the idea of comfort food and make it their own—in the city center of Downtown Greenville. The NOSE DIVE menus feature approachable dishes, using the best ingredients from local purveyors whenever possible. Guest favorites include the Chicken and Waffles, Fish and Chips, seasonal salads, and always, a fantastic burger of your choice. Plus, daily features shake things up a bit and allow you explore new culinary bounds. Dishes that are interesting and often adventurous—you’ll definitely want to give those a try too. Come on in—or dine outside—and enjoy high quality food, craft cocktails, a selection of handcrafted beers, and hand-selected wines, along with superior customer service and a warm neighborhood feel in the heart of Downtown Greenville. NOSE DIVE has outdoor seating and a variety of private and semi-private event spaces, perfect for any type of entertaining need, including the Private Dining Room and the Main Dining room. Click here to learn More. NEW! CRAFTED at NOSE DIVE is located on the Mezzanine level of the restaurant and features handcrafted cocktails, made with care and commitment—think “perfect, not precious”. 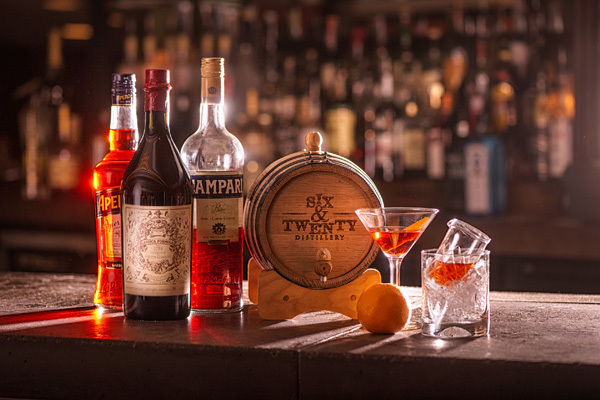 The menu offering includes a mix of custom and seasonal cocktails alongside old-school classic drinks. So, why the name NOSE DIVE? NOSE: With all things food and drink, the first sense involved is the sense of smell. The smoky smell of a great burger on the grill. The nutty smell of a handcrafted beer. The jammy smell of a big California Zin. 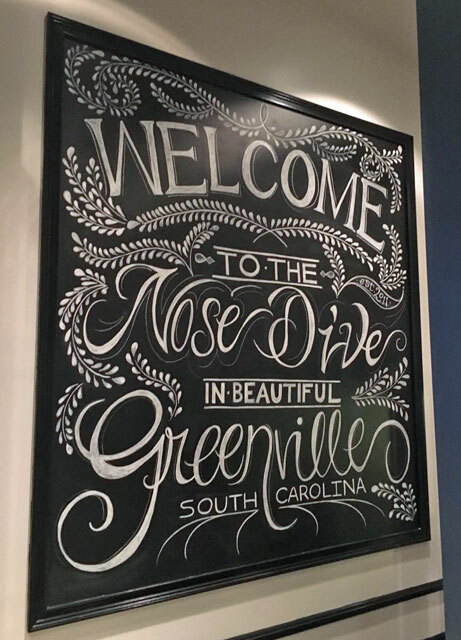 And, as an added little bonus, for those of you who’ve been in Greenville long enough to remember when this space housed Restaurant O, you might see that NOSE is also an acronym for: “Not O. Something Else. When we saw that as part of the identity presentation from our branding partners, Brains on Fire, we all had a little smile and a giggle. It was like the name was just meant to be. Sounds like a place we’d all like to frequent, doesn’t it?